Yesterday I had an afternoon of baking, I did not have a clue of what I wanted to bake then I found the mould to this massive cupcake so I thought why not give this a go. 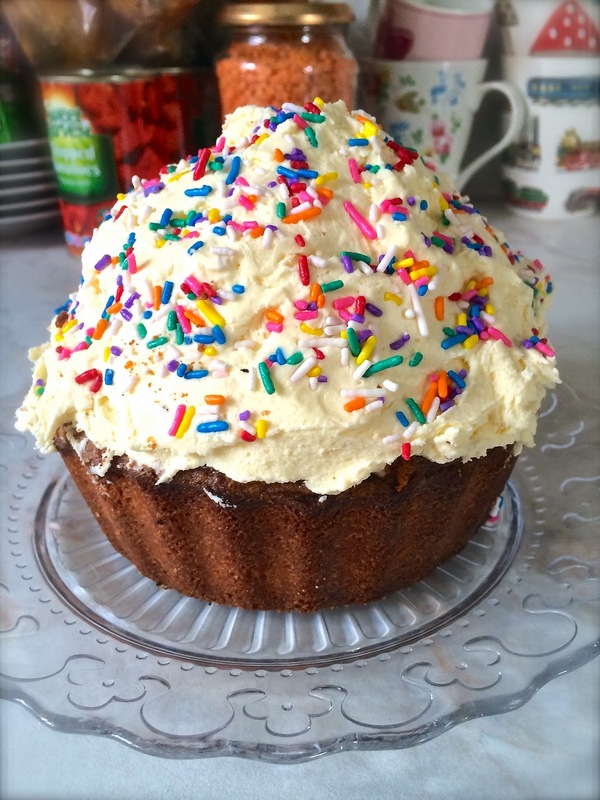 It was super fun and really easy to do, I followed the simple instructions to make a Victoria Sponge, however I doubled the quantity so it would fit into the mold as its pretty big. 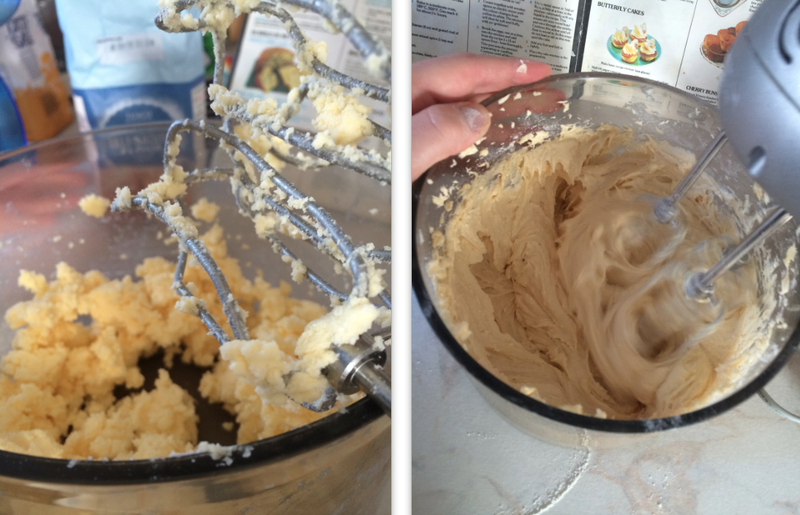 I used an electric whisk to mix the sugar and butter together until it was light and fluffy, then added one egg at a time and a bit of flour and kept mixing until it was all gone. I then got a bit of butter and wiped it around the inside of the cake mould so that the mixture does not get stuck when once cooked. You then pour the mixture into each of the moulds, the bottom half with a little bit more than the top, or if your just making it in two normal cake tins then make sure that you have got the equal amount of mixture in them both. 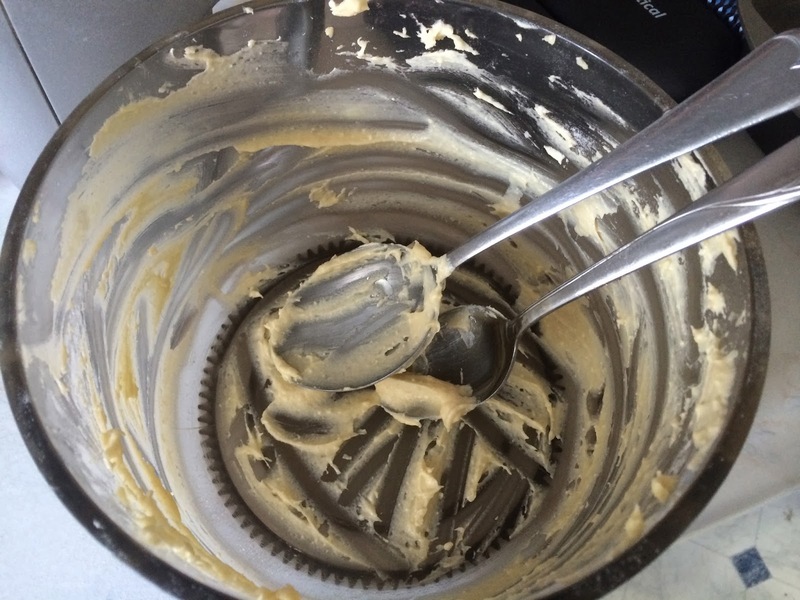 Feel free to lick the bowl clean! Place these mixtures into the oven and leave for 25-45 minutes depending on the mixture that you used, keep an eye on it as it could be done quicker than what you think. To check if it is cooked properly in the middle, get a knife or knitting needle and stick it down the middle of the cake, if it pulls out clean that it is done. Leave it for about half an hour to cool down then you can start decorating your cake. I then mixed 100g butter and 200g icing sugar together to make the butter cream which I then added to the top of the bottom half of the cake along with some strawberry jam. 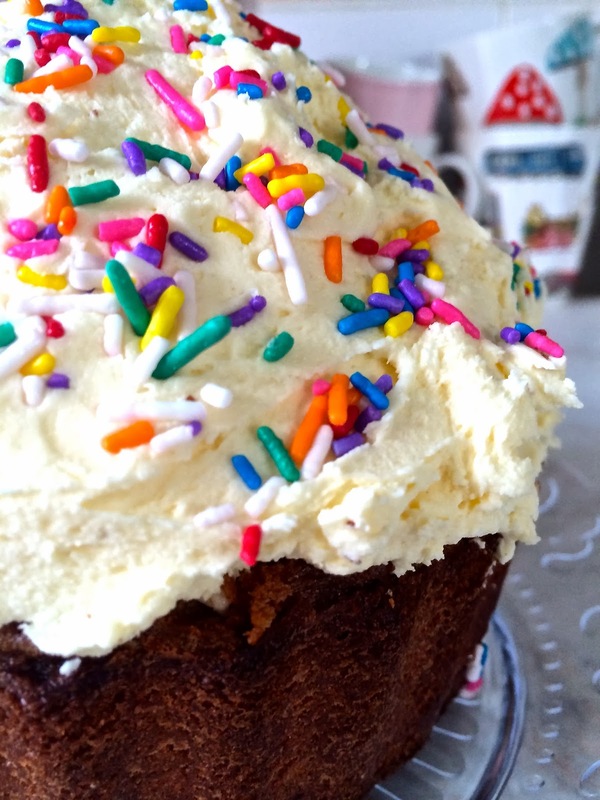 I then placed the other piece of the cake on top of the other one and then used the rest of the butter cream to decorate the top of my cake. I placed it on quite unevenly and added hundreds and thousand sprinkles on top to make it look pretty. Voila the cake is ready to eat! Love the vintage cookbook, looked well-used :) will have to try out this recipe.